Unless you’ve been hiding under a rock, it’s impossible to miss the impact video has had on us. YouTube is the second largest search engine. Why? People simply enjoy watching videos more than reading text. It’s in our DNA. Since 93% of human communication is visual and vocal, text alone will never be as captivating. Yet, selling is still primarily emails and documents. And that’s understandable because recording and sending videos hasn’t been easy to do- until now! Today’s new smartphones have started the “selfie” movement, and Oxford Dictionary has made it official. SnapChat, Instagram, Vine, just to name a few, have capitalized on this trend and have changed consumer messaging permanently. Studies say if a video doesn’t load in 2 seconds, viewers will abandon it. However, with LTE becoming more ubiquitous, businesses can now be confident their video content will be quickly consumed and shared. 76% of B2B marketers use video to outreach to prospects and customers, but the videos they create do not come cheap. Time, talent and tools are the key costs when creating a video. Total cost can range from a few hundreds to millions to produce these videos. Most sales departments live and die in their CRM. The last thing they want is another sales solution that doesn’t track activity and results back to their CRM. In sales, time is money. 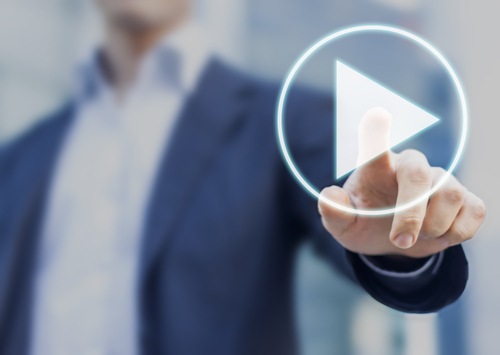 Salespeople don’t have time to hack together a recording and share via YouTube. Plus, consumer platforms like YouTube or Vimeo provide limited data (especially viewer specific data) and again, there’s no robust integration back to the CRM. Sales in the past was face-to-face because you had no other option. Sure, it took longer, but it was incredibly effective when building trust and establishing a longer term relationship. Let’s face it, today’s emails and phone calls are cold, faceless, and suspicious. Even with powerful marketing automation tools, it’s easy to come off as a robot to your prospect. Videos increase email open rates by 2x and click through rates by 15x. Putting a face to a name shows the prospect you are NOT a robot and helps build trust (it’s much harder to ignore someone who shows more effort). Videos are captivating and fun to watch. With more watches, you can expect a 5x increase in response rates because your message is now finally being heard. And more responses will result in more meetings, more trials and ultimately more closed business. With a little time (60 seconds), the right talent (your sales person) and the right tool (OneMob), you can transform your selling and make business communication fun and a bit more personal again. Happy selling!